General Information: Each sugarcane drink stir is prepared from lengths of cut premium natural sugarcane using a proprietary method. The drink stir can be used to stir hot and cold beverages and it is cut to fit an old-fashioned glass or a coffee or tea cup. These sugar cane stirs provide a unique and memorable way to stir a beverage. Drink stirs are packaged in a vacuum-sealed bag that will maintain its structural integrity for distribution. 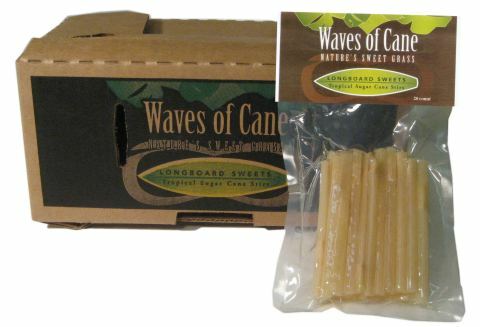 Six packages are contained in each case of Waves of Cane drink stirs; the total yield for each case is 120 pieces.